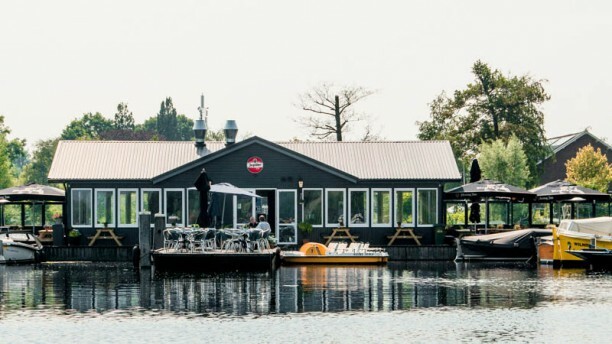 On a realy nice place at the lake from Vinkeveen, very close to Amsterdam, you will find our Pancake restaurant. Whether you arrive by boat, bicycle or car, this Pancake House is easily accessible in all these ways. A lovely place as a stopover for coffee or a drink with something sweet. Besides the assortment of the different pancakes, surprising combinations and special classics, you will find several other dishes on the menu. Car park Free parking at our side and in the area around. New orders for the kitchen are possible till 20.00.